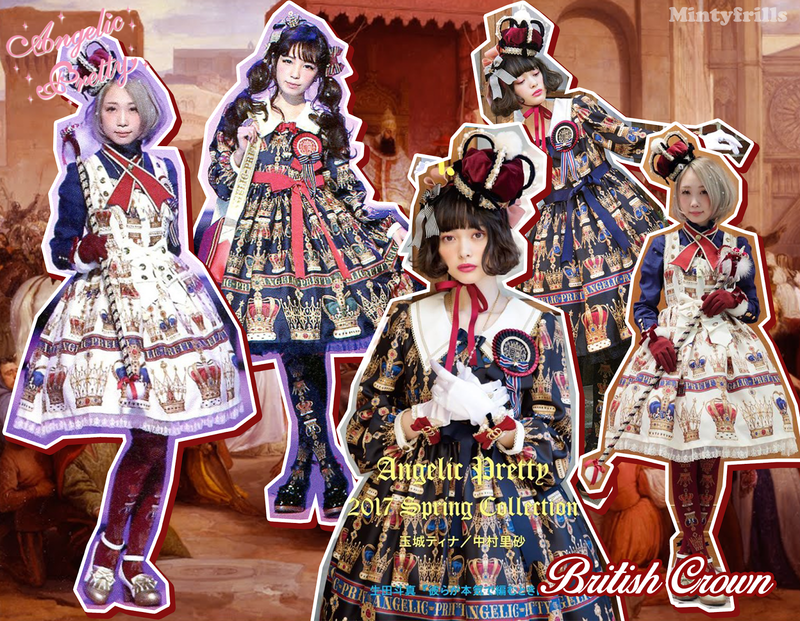 This week Angelic Pretty will be releasing British Crown, which answers the question of what Innocent World would look like if they were a sweet brand. It really does look like a sweet version of Innocent Worlds Grazia Crown. That said it is not a bad print. The proportions of the print looks good, though I feel like something is missing for the bottom part. It just looks like the print kinda ends and goes into the same colored lace. Some details in the print or colored trim could of fixed this. 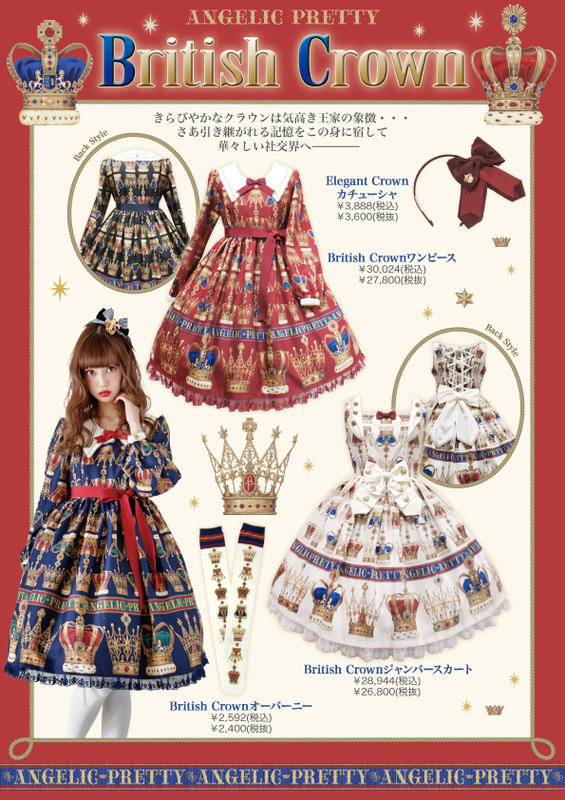 The top post of the jsk is okay, I don't like the little button details. The OP has a nice cut and I like the long ribbon. All in all this print is not for me and I look forward to the more sweet releases. 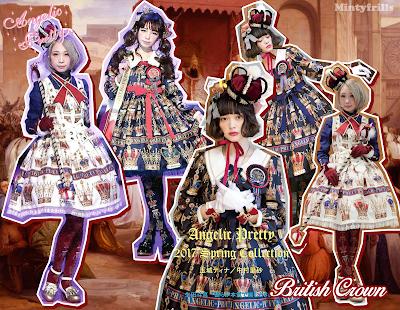 Click here to see Angelic Pretty's spring collection. There's lots of good stuff coming up, be prepared and save your money.